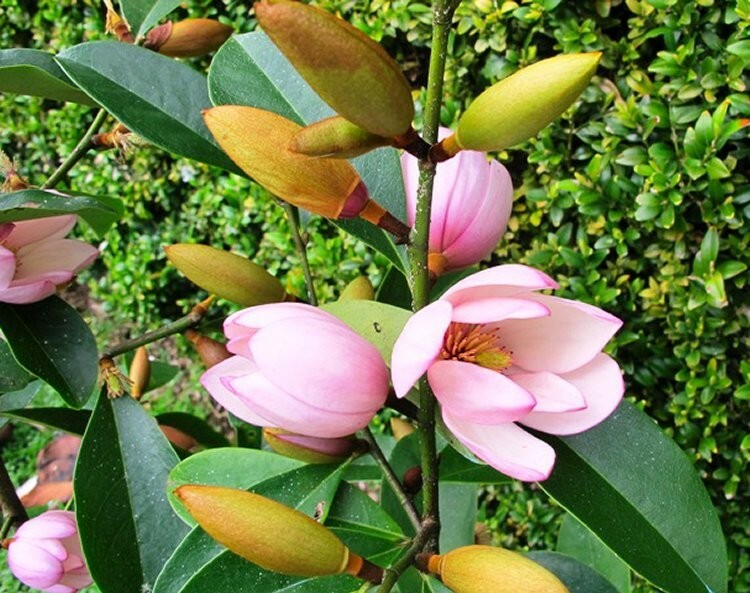 Michelia Magnolia Fairy Blush is an amazing new variety of magnolia from New Zealand, that is already very highly acclaimed throughout the horticultural world. It really will amaze you with its sheer flower power and versatility, setting buds over all its stems, they will flower for months on end, mostly in spring, but some will re-bloom again in summer! Fairy Blush has large russet coloured buds all through the plant and along the stems which then burst open to blushed pink creamy coloured fragrant blossoms of a good size. 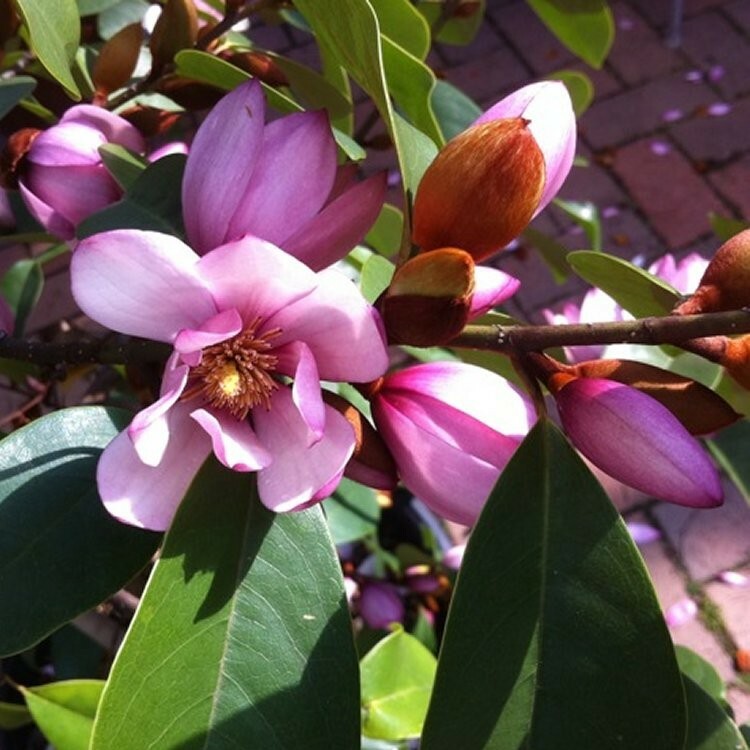 The foliage, unlike most Magnolias is evergreen in all but the harshest winters, which again is unusual for a magnolia with such a freely blooming nature. Even young plants will produce the scented blooms as they become established from a young age. The plant is very versatile and can be used in a number of ways; as a standalone specimen; planted together to form a screen or magnificent flowering hedge, even clipped in to topiary shapes. Perhaps the best place is in a mixed shrub border or as a special patio specimen. 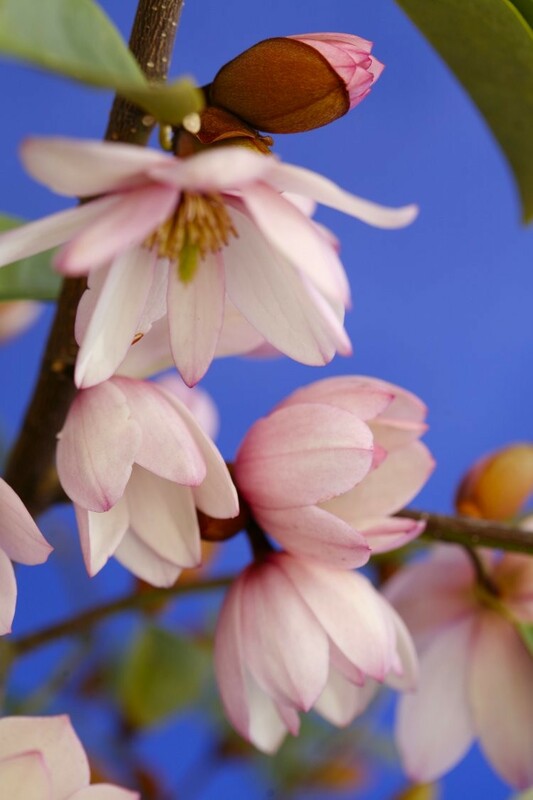 All in all a stunning new addition to the Magnolia range, easy to grow, free of pests and disease problems, blooming over a long period with fragrant flowers - simply excellent garden performance. Supplied in an approx. 1 Litre pot.